Painting contractors Dubai are those freelancers or companies who take orders to paint the desired location, house, furniture or building. Samraa Maintenance takes orders of Painting contractors Dubai and provides economical and professional services as compared to the other competitors in this field. 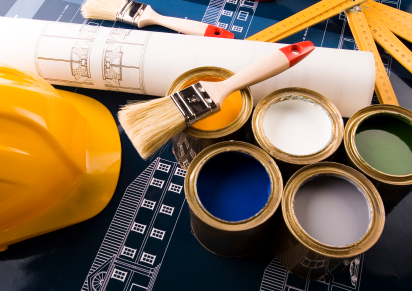 Painters of Samraa Maintenance provide largest Painting contractors in Dubai. We take orders from painting studio apartments to the big shopping malls; our professional painters are expert in doing all the paintwork. Our painters are well trained in doing all kind of Painting contractors Dubai. This includes selecting different paint for different products and wall. Suggesting a good color theme and applying different textures to the painted wall. – Sanding with the piece of sandpaper helps to remove the damaged area by rubbing. It helps to gain an even and smooth surface for painters. – Removal of major defects is done before painters such as dents, spills or spots. These defects must be removed before the paint, it helps to give the home a new and even look. – Any kind of organic or inorganic stains must be removed such as fungi, the difference in colors or stains by bleaching. – The coloring of the home is the next step. Customers can choose colors from shade card or maintain the same color of the home. – Finally, a finish is given to the home for a better shine. – We do all types of painting job from interior to exterior. – We deal in big and small job capacity. – Samraa Maintenance provides all types of painting services. – We provide guidance in selecting colors, textures, and themes. – We provide selecting the right product and color according to the customer’s requirement. – Samraa Maintenance deal in residential and commercial painting work. – We provide very economical and fast painting services in Dubai. – We always meet the deadline and understand the fast lives of Dubai. – Our painters are very friendly, helpful and cooperative. – We hire our painters after a background check. – We fulfill difficult painting tasks such as painting walls of tall buildings. – Samraa Maintenance provides before and after paintwork services. – We offer paintwork touch-ups. 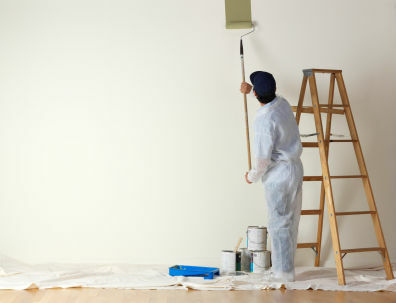 – We deal with painting all the areas of the house or building. – Samraa Maintenance is an expert in painting furniture and other household items such as brackets, cabinets, and shelves. – We offer the widest range of painting products. – We provide A to Z painting services in town. – Samraa Maintenance provides painting and re-painting services.